How Online Construction Directory Helps You Get the Best Resources Online by Comparing Various Contractors? Construction directories are one of the best places where you can find different contractors and can compare them and at the end, you can choose the best one according to your needs. Online construction directories play an important role in generating detailed information for construction needs. These directories help by providing the best construction manager, consultant or even architecture that too according to your needs. 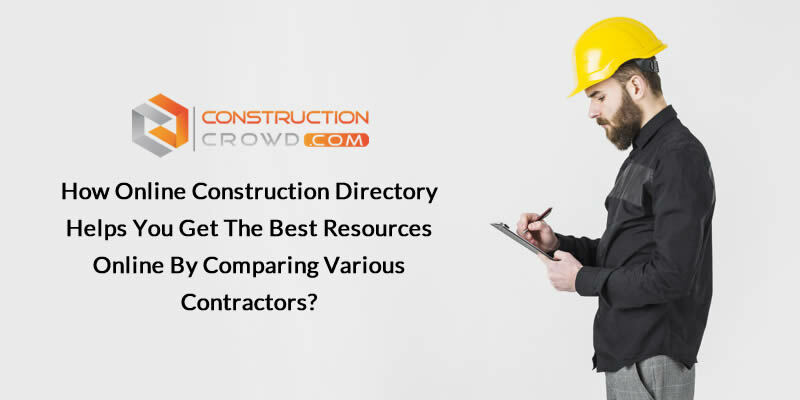 Below are a few points that shows how the online construction directory helps in getting the best resources online by comparing various contractors. These directories enable clients to get some basic yet essential details about vendors like a name of the business, its type as well as all the services of business at the place where the client is located. This enables clients to easily get all the basic yet important data like when to contact or how to reach you. These things make these directories very important to compare different contractors. These directories also help a lot in connecting with the right group of vendors which results in hiring the right person in a short amount of time. These directories can help the people in finding the professional as well as experienced vendors for their home planning in the simplest way. With the help of these directories, the customers will be able to contact the vendors in a lot easier way which will result in great customer-vendor interaction. And, in case of construction services, the client always has a lot of things to ask so, boosting customer interaction is one of the most important and helpful things provided by these directories. Another important thing that these directories provide is the location. This helps a lot in comparing the contractors. The customer can search easily for such contractors that are providing services within their location. This should be the first thing to see when going through the list of contractors in the commercial contractor’s online resource directory. Otherwise, it is useless to get all the information about the contractor when at the end you get to know that the contractor is not providing services in your area. Also, you can easily to get access to all the information related to the services of the vendors along with their previous works. It is a wise step to take a look at their customer’s reviews as they can help a lot in taking the decision. In case a contractor from the online construction directory for architecture and design in your area has gained your attention, you need to first check for their customer’s reviews. If the reviews are great and their customer interaction is impressive then you can contact the contractor otherwise search for another one.